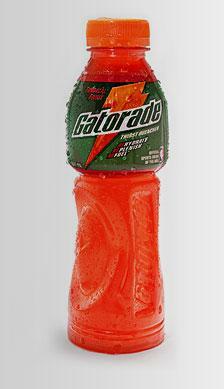 For Gatorade, sports isn’t just a game. It’s a SCIENCE. That’s why Gatorade has dedicated more than 40 years of research to nail the winning formula that is scientifically guaranteed to improve performance. And make winners out of athletes. That’s why when you name any sports legend at the top of your head – from Jordan to Serena to Kaka – he or she trusts only the best sports drink on the planet – Gatorade.